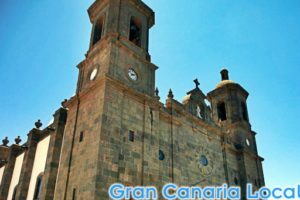 0.1 Planning a trip to Las Palmas de Gran Canaria? As resident experts, we’re happy to show you around town. How about seeing the Gran Canaria capital from a new perspective? 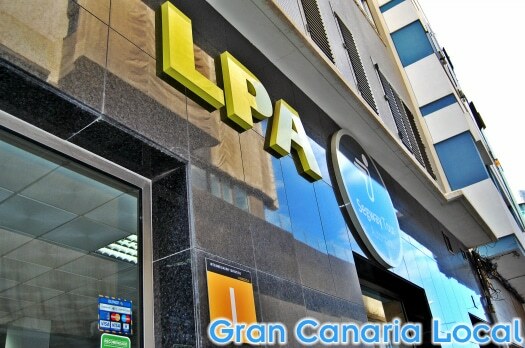 Planning a trip to Las Palmas de Gran Canaria? As resident experts, we’re happy to show you around town. 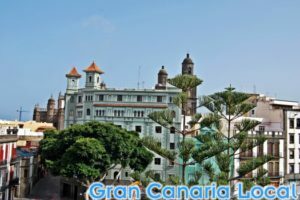 How about seeing the Gran Canaria capital from a new perspective? When we first moved to Las Palmas de Gran Canaria, it wasn’t the most cyclist-friendly of cities. But new cycling lanes have transformed the metropolis. Paving the way for the likes of Segway LPA in the progress. Segway LPA’s easy enough to find. 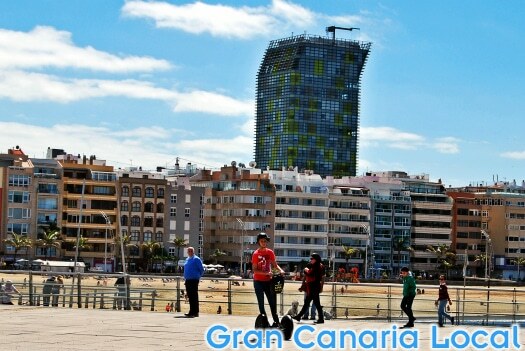 It’s located above Las Palmas de Gran Canaria’s main beach, Playa de las Canteras. 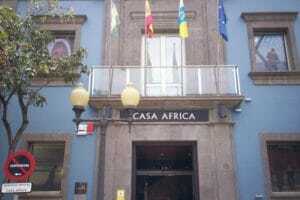 On Calle Gomera, opposite Sercotel Cristina Las Palmas. 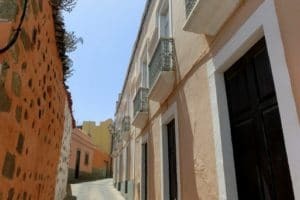 It’s roughly equidistant from the Mercado del Puerto and Parque Santa Catalina to Segway LPA, as in a five-minute walk. If travelling to and from the nearest bus stop, it’s even less of a schlep. Consult Guaguas Municipales to find out details of timetables, paying particular attention to lines 1, 2 and 12; three of the capital’s most popular and regular services. The Segway was a turn-of-the-new-millenium invention. It’s a two-wheeled electric scooter which operates according to a shift in weight. Move your body forward to propel the machine forwards and back to reverse. Last time we ran into our guide for our Segway LPA tour, Guillermo Morales, we were staying in Artenara’s Casa Cueva El Mimo. And he was leading a group on a Nortetrek hike. Morales is quick to point out that the Segways are as ecologically sound as our own two feet. Inside, Segway LPA offers a coworking space and a free cup of coffee. 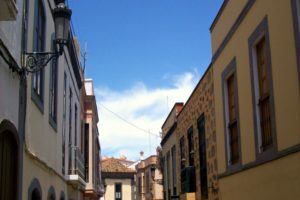 Outside, it offers a number of guided, and indeed glided, tours around Las Palmas de Gran Canaria. These are priced at 35€ per person for one hour, 45€ for two, and 55€ for three. Before you go anywhere, you’ll have a test ride. And so Mr Gran Canaria Local, Dani, and Alex were given a Segway each and instructed in the basics by Guillermo Morales. As in how to get on and off, how to go forward, and how to stop. He explained that we wouldn’t be able to start the tour until we had mastered the essentials. 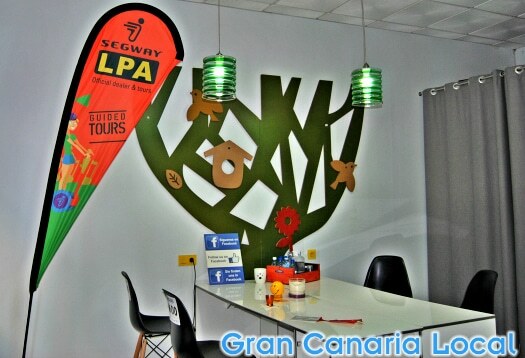 There are eight different Segway LPA tours, ranging from Atlante which allows you to admire the ocean waves and Vegueta which transports you to Columbus-era Las Palmas de Gran Canaria, cobbled streets and all. These are both 180-minute tours. Ours was shorter but just as sweet. After getting the all clear from Guillermo, we followed him in single file along the cycle lane to Castillo de la Luz. The Castle of Light stood strong against an attempted invasion by Sir Francis Drake, considered a naval hero by the English but feared as the biggest, baddest pirate by the Spanish. Nowadays, it’s a museum housed in one of the capital’s prettiest parks. Then we made our way to La Puntilla, offering sweeping views of Las Canteras beach. Here, we were encouraged to whizz around by ourselves. True to form, Mr GCl found himself lagging behind the rest of the family who were rather quicker to reach 0-20kph than him. 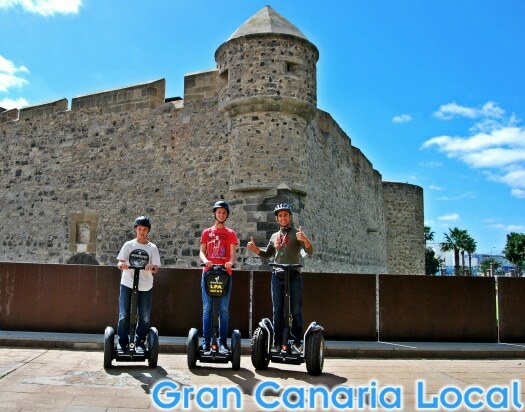 Disclaimer: Three fifths of the Gran Canaria Local family were invited on a Segway LPA tour free of charge. 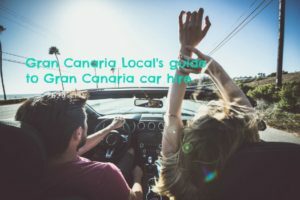 As Gran Canaria’s leading blog, we’re considered GC ambassadors. We don’t take our duties lightly and are keen to promote the island we now call home to potential expats and tourists alike. This looks awesome! 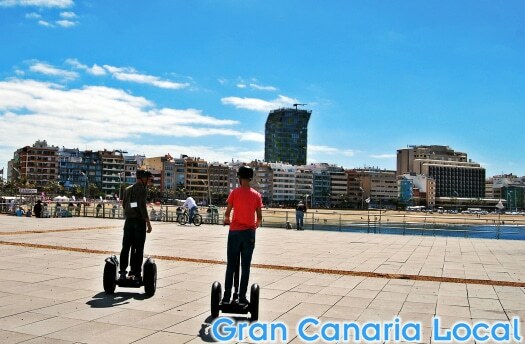 Segways are so much fun, and Las Palmas is absolutely beautiful! Very cool trip! Thanks so much for sharing this adventure! This is awesome! Thanks so much for sharing your experience and for writing of all the details there are to the segway tours! You’re very welcome, Larissa. We had a blast!